When it comes to planning a party, a wedding or other special event; planning can become rushed, tiresome and even overwhelming. What started as good intentions has ended as a pile of thrown together ideas to make the party “work”. When planning the right get together, the venue is just as important as everything else. Click here for other party planning ideas or keep reading to find some ways you can find the right venue for your party. How many people can the venue hold? This may be one of the easiest things to overlook. While your head is filled with hope and food ideas, the venue you have chosen will only fit 3/4 of the people you have invited. Yikes! Ensuring the venue you pick can hold the correct amount of party attenders is a top priority. Does this party venue fit my style party? Well, this seems obvious. You wouldn’t throw a sophisticated wine tasting party in a party barn. However, no matter how obvious, it is important to ensure that you have done a proper walk through of your choice venue to ensure that it has all the required needs for your party. Can I even afford this venue? The number one thing looked at when a purchase is being made, is the price. Just because you love a venue does not mean to go outside of your budget and break the bank. Keep looking, negotiate the price or see if someone else may help split the bill with you! 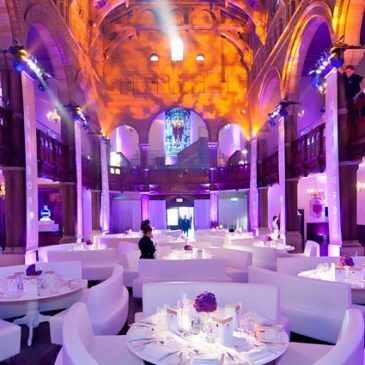 If your party entails food, it is important to communicate with the venue managers and staff. Some venues offer in house catering while others do not. Some venues also allow outside sources for food and can even provide a preferred list of catering services available. Are there enough spaces for everyone to park? Is there on-site parking? Is parking available at all? This is something you really have to pay attention for. I have seen people rent out venues and not ask about the parking situation, only to be billed later for hundreds of dollars. I have also seen the tragic events of running out of parking spaces and guest literally just driving off. Always ask if parking comes with the rental of your venue. What if I cancel at last minute? Be sure to check out what the venues policy is for last minute cancellations. Typically venues either give a refund or keep your entire deposit. If this cancellation effects their income or if they have gone through the trouble of setting everything up, more than likely you will be stuck with the charge and or even charged a cancellation fee for the last minute change of plans.